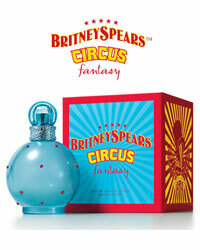 Circus Fantasy Perfume by Britney Spears, was launched in 2009 by Elizabeth Arden. "Luscious fruits, tempting florals and creamy musks capture the magical atmosphere of the show with a colorful illusion of fun, sexiness and glamour." 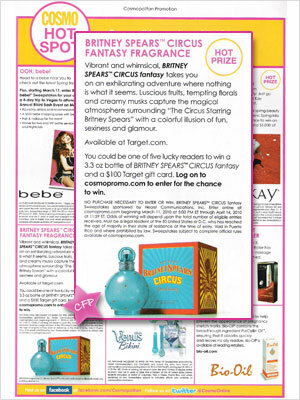 Available in 1.7oz and 3.3oz Eau de Parfume Spray. 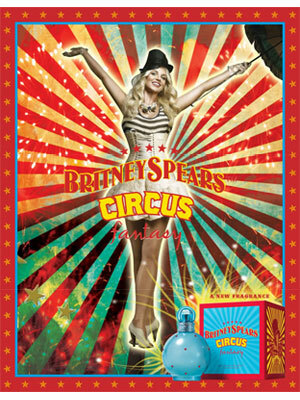 Vibrant and whimsical, Britney Spears™ Circus fantasy takes you on an exhilarating adventure where nothing is what it seems. 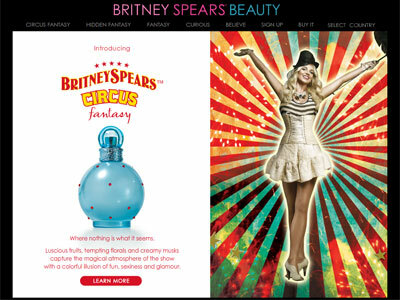 Luscious fruits, tempting florals and creamy musks capture the magical atmosphere surrounding "The Circus Starring Britney Spears" with a colorful illusion of fun, sexiness and glamour. Available at Target. Where nothing is what is seems. Luscious fruits, tempting florals and creamy musks capture the magical atmosphere of the show with a colorful illusion of fun, sexiness and glamour. The spectable opens with juicy accords of sugar coated raspberry and apricot blossom, reminiscent of enticing candy.